The English claimed to be the prime mover of modern democracy, with constitutional monarchy?which is not quite true Modern republican democracy in fact started in the USA as the American patriots rebelled against British colonialism. The French Revolution of 1789 was in fact the first experiment with republican democracy in Europe with its famous declaration on equality, fraternity and liberty. Since the revolution was very violent, it had no spiritual dimension whatsoever, except that the new leaders were against the Church and its feudal supporter. Hence the French ended up with the dictatorship of Napoleon who was not even a Frenchman. B. R. Ambedkar, the Chairman of the Drafting Committee of Indian Constitution, was born into the Untouchable caste and subsequently converted to Buddhism. 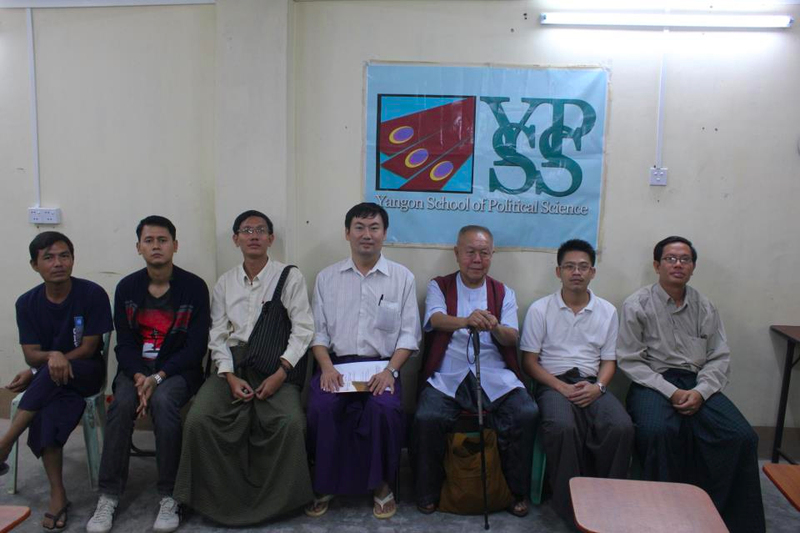 He claimed that the Sangha established by the Buddha was a democratic community. In other words, this was a form of democracy 2000 years before the French Revolution. He also contended that the Sangha served as an alternative model of democracy for Indian society at the time. Why? The ordained enter the Sangha as equals. Solidarity keeps the Sangha members alive. And members of the Sangha work for liberty?defined as emancipation from greed, hatred and delusion. Democracy is often misconceived as a voting procedure to choose political representatives, and the person or party with the majority of votes will get the right to govern. This appears to be the dominant form of democracy today, and it can be found in many states claiming to be democracies, ranging from Britain to the US, Singapore to Malaysia and perhaps Burma too. This form of democracy has brought both benefits and harms. In fact I would argue that the negative side of main stream democracy has not been discussed very deeply. In theory, democracy is a form of government of the people, by the people and for the people. The state promises that its citizens will have full rights and freedom befitting their dignity. The state promises to protect its citizens from various kinds of harm or danger. State power will be accountable, and no one will be granted with undue privilege or the right to exercise arbitrary power. Most leading states in the world that claimed to be democratic do not possess substantive democracy. They don?t have solidarity. Equality is even harder to find in them. And liberty is often reduced to a matter of making false and forced choices or selecting consumer goods. Economic inequality makes democracy impossible. It is not of much value to discuss methods of making Parliaments more representative, or private citizens more public-spirited, or laws more just, or liberty more secure, unless one starts by asking where the real seat of power lies. If the economic structure of any society is unjust, its laws and its political system will necessarily perpetuate that injustice. No tinkering with juridical forms, not even that panacea, ?education?, will ever make much difference. 1) Freedom from dictatorship: This not only means freedom from military government or political remnants of absolutism but also from capitalism?its agents, structures, ideology, etc. 2) Social solidarity: In the past, our Asian society had accepted or tolerated differences. But we were led astray by modernization and then globalization. It?s not too late to rejuvenate this virtue. Indeed social solidarity is lacking in all modern democratic countries in the West, because the West has been uprooted from its spiritual heritage. 3) The rule of law: no one must be above the law, and the legal system must be transparent and accountable. 4) Equality: Everyone should be treated equally. The weak, the poor, the minority, etc. must not be oppressed and looked down upon. Rather they should be seen as equals, and conditions or factors that create inequality should be removed. The rich must bear extra social responsibility to help keep everyone afloat. 5) Local wisdom: Sometimes local wisdom provides the right answer or question much more than modern sciences. Local wisdom directly or indirectly links with local culture which is very much rooted in spirituality. 6) Reason: The people must learn to cultivate and develop the use of reason. A person need not have any special knowledge. But his or her voice must not be silenced by the more intelligent person. 7) Education: Knowledge must not be compartmentalized. Rather, it must lead to the harmonization of the head and the heart. Education must also foster a critical or ?rebellious? spirit in the people. In the West, education is primarily viewed simply as gaining knowledge, skills, or other forms of human capital that will assist one in earning a living sufficient to buy human security. This perspective, I?m afraid, will not get us very far. When we really think about education, what kind of education are we talking about? Can education be measured merely by the ability to read and write? Is knowing how to complete a certain task the sign that education has occurred? Is the ability to recognize an atrocity as an atrocity or the ability to imagine a less violent future included in the definition of an educated person as we now see it? I think the answer to each of these questions is ?no.? An alternative perspective about what education really is has been put forward by some creative Western minds. Adam Curle, an English Buddhist, for instance, has suggested, ?Education is a learning process that pulls out the hidden potentials in each person, that facilitates self-creation through self-realization.? This is the fundamental objective of Buddhist education, though we refer to self-understanding and realizing our full potential as Buddha nature. This kind of education requires collective action and social engagement. Perhaps most importantly, it requires nonviolence. Non-violence may be considered as the master precept of Buddhism. As such, a proper Buddhist education would foster a culture of peace, which entails, among others, subduing the rising tide of human insecurity, structural violence, and terror through compassion, humility, generosity, mindfulness and wisdom. And you can not separate these ideals from spiritual democracy. Spiritual democracy is in fact the creation and maintenance of justice and peace. To this end, we must explore a proper methodology to ?educate for peace?. The themes central to Buddhist approaches to education can be drawn directly from Buddhism?s most basic teaching, the Four Nobel Truths: (1) suffering (dhukkha) exists, (2) dhukkha finds its source in ignorance (avijja), (3) ignorance can be resolved, and (4) there is a methodology to help us resolve ignorance. One must inevitably observe, understand, and solve individual and social problems. This constitutes true sikkha (education) a combination of wisdom and ethics. At no other time in history is the importance of sikkha in applying ourselves to resolving social and political failures more urgent than today. Buddhist education cultivates morality (sila) alongside wisdom (pa? ?a); the one guiding the way for the other. Before wisdom can be grasped and ultimately used to benefit humanity one must have a proper perspective of the world, in Buddhist terms, Right View. Thus the highest training in the Buddhist system is liberation from ignorance. At this stage intellectual and emotional understanding blend with compassion. This understanding does not mean dominating or possessing others, it refers to helping other sentient beings until helping becomes an endless personal mission. This facilitates an understanding of life and the world that is not marred by prejudice or selfishness, the essence of education for liberation. Sikkha or training entails developing oneself so that one is able to lead life in a beautiful and correct manner-pursuing the Path (magga) that will lead to the cessation of suffering. Sikkha and magga thus can be seen as one. At times the Buddha would use the word patipada (modes of progress to deliverance) interchangeably with magga (path). Ultimately the path leads to a noble and celibate way of life. I feel that education for liberation must start with the concept of the Right Understanding, and then proceed down the Noble Eightfold Path. The Noble Eightfold Path helps us to realize that on the one hand, structural injustices in society are perpetuated by violence. And on the other hand, they are also held in place by our selfishness and our resulting tacit consent. Social and individual sufferings result from the interpenetration of external and internal causes. The training of the mind and training in morality will help students to develop knowledge in tandem with goodness. Once students develop training in wisdom, they will understand things differently; different, that is from what has always been taught in mainstream education. David Loy, and American Buddhist, for instance, has written a history of the West from a Buddhist perspective. Much, if not most, of what the West has described and cherished as ?progress? is in fact rooted in suffering. This is because the history of the West is rooted in greed, hatred, and delusion. To break this cycle, we need to embrace the Three-Fold Training (tisikkha) of morality (sila), mindfulness (samadhi), and wisdom (pa??a). Wisdom is the recognition of the interdependence of things and of reality ?that is.? This is the origin of the Right Understanding, which is the beginning of the Noble Eightfold Path. The Buddha taught that Right Understanding has external and internal dimensions. Externally are the voices or warnings of others, especially those of our virtuous companions. Internally is critical reflection, or the ability to think, contemplate, and analyze without prejudice or personal attachment, all resulting from mental training. With proper internal and external understanding, we are better equipped to tread softly in the world. Conversely, with the Wrong View, one?s thought processes and beliefs will always be wrong. An example of mainstream values that have wrong view is the rampant individualism that accompanies consumer culture that induces a tyranny of the ?I? (ego) and leads to great suffering. Right Understanding will also help us see the flaws in traditional or widely accepted perspectives. For example, binarisms have long been utilized as useful tools for classifying and making sense of the world. The problem is that it is too simple a system. In actuality, there are few neutral binary oppositions, so a ?value free? system of classification can devolve into white-non-white, modern-traditional, upper-class-lower class, us-them, developed-underdeveloped, and so on. Shunning or being mindful of dualistic thinking, Buddhism is well equipped to help in healing the binary oppositions that serve as sources of great sufferings in the world. Emphasizing what Thich Nhat Hanh the Vietnamese monk calls ?inter-being?, Buddhism proposes a sense of difference without being purely different. To Buddhists, our minds are not simple mirrors that reflect the world. Rather we take part in constructing what we see as reality. This does not mean that there is no world ?out there? or that everything is in our heads. It simply means that the ?out there? does not have meaning in itself; meaning is something that we apply to it. The problem is that when we apply meaning we often do so narcissistically. A rock, for instance, is just a rock, but with a narcissistic worldview the rock can become much more to us. It can become a national boundary, a work of art, a prized geological formation, a precious stone or is could be a simple rock on a beach that we pick up as a souvenir. In the end it is still just a rock though it may seem to be much more important than that. Our processes of representing, ascribing meaning to, or relating to the ?out there? are marred by greed, hatred, and delusion with serious consequences. Buddhism urges us to be quick in recognizing and addressing the prejudices involved in our knowing/knowledge of the world. At the very least, Buddhism urges us to reduce our prejudices rooted in attachments and self- preservation. We must seek to understand the root causes that have created these effects. Although the Buddha taught that sila consisted primarily of right speech, right action, and right livelihood, I will for the sake of time encapsulate all three of these within the Buddha?s teaching on generosity. Generosity, or dana in the Pali language, may be seen as the foundation of education shared by every religion and it is a subtle way of reducing self-attachments. Generosity can be in the form of helping an individual poor person in a very painless way, requiring little sacrifice or it may be a completely selfless act, to the point of offering your life so that another may live. In either case, the practice of generosity cultivates the knowledge that we have nothing to fear from giving of ourselves to others. We learn that our possessiveness is related to our greed, hatred and delusion, and this enables us to become less fearful and more generous as our practice develops. Applying the concept of dana to contemporary society, we may cultivate a consciousness that stresses giving more than taking. Humility, simplicity, and self-sufficiency and self-reliance consequently follow. If you have an inclination for generosity and you cherish simplicity and humility, stressing compassion and solidarity more than competition, you may begin to reclaim human dignity. This is a Buddhist vision of a prosperous life. The third factor in the Buddhist three-fold training is mindfulness. Ultimately, Buddhism urges us to be ?awake? or what is often called ?enlightened.? Without mindfulness, moral training may bring about narrow-mindedness or hubris; that is, the certainty or feeling that one is better than those without morality. The training of the mind contributes to mindfulness. Through training we will be quick to take care of our feelings, especially greed and hatred, and will have right concentration for leading our lives. With mindfulness, we may learn to become less attached to ourselves. Moreover, mindfulness contributes to happiness in the present. It synchronizes the mind and the heart brings about internal peace. Additionally, mindfulness enables us to grasp the realities of the past, the present, and the future. And lastly, mindfulness enables us to overcome mental defilements, thereby contributing to liberation. A Buddhist education for liberation shows us how to act ethically with wisdom and mindfulness. Such an education is valid not only in our personal affairs, but also in how we interact with the world. This means that we must confront those causes that are linked to the abuses of capitalism and consumerism. To profess faith in the sciences and industrial technologies without questioning their ethical value or our own moral responsibility could have serious consequences to our immediate and distant future. We must resist war and confront state power in this age of weapons of mass destruction. We must reexamine the role of the mainstream mass media that are involved in processing ?truth? programs that serve power and legitimize violence. We must reexamine the status and role of women. Many, for instance, have pointed out the increasing feminization of poverty. 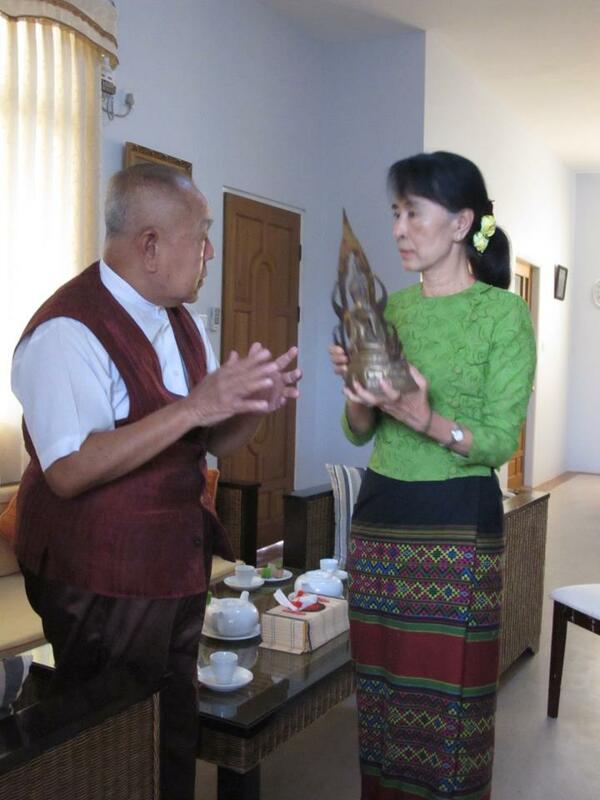 My lecture is from a limited experience of a Siamese Buddhist who has been working for justice and peace-via democratic principles that I understand. So I have shared my views and my experience with you. I hope they may be useful for further discussions together.